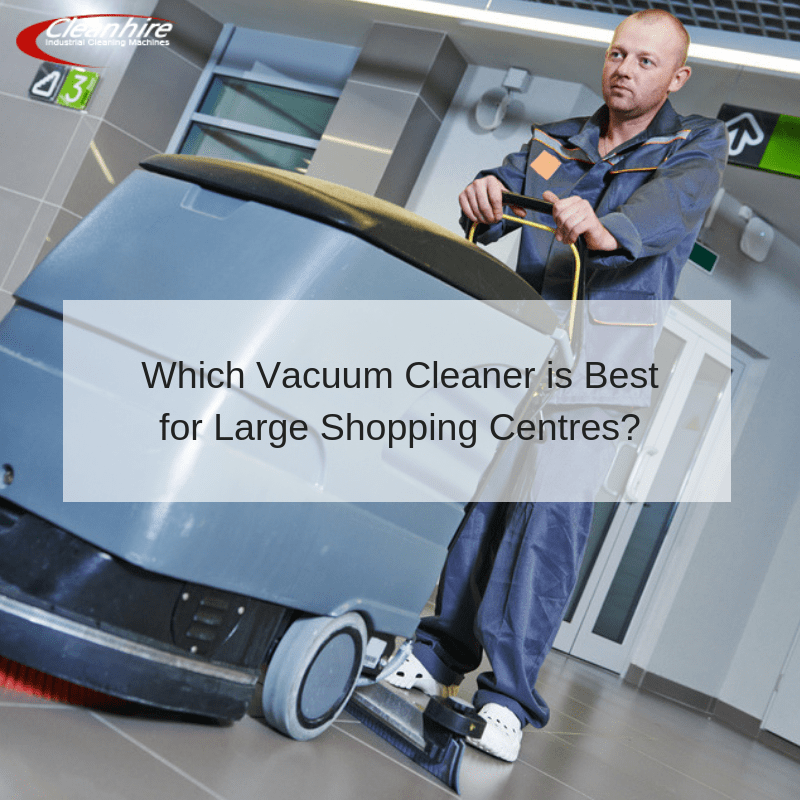 Which Vacuum Cleaner is Best for Large Shopping Centres? Large areas such as shopping centres and similar commercial properties can be challenging to maintain and staff members need to know what concerns to take into account when choosing the most appropriate cleaning techniques. This is particularly relevant when referring to industrial vacuum cleaner hire. Are there any configurations which are more appropriate for such locations and what other features should these units possess in order to make quick work out of any cleaning task? Let’s examine some rough guidelines so that you will be able to make an informed decision. Large commercial shopping centres should always keep the health and safety of the public in mind. This is why you need to choose a unit that is equipped with a high-quality filter. HEPA (High-Efficiency Particulate Air) filters are generally considered the safest, as they are able to remove particulate matter such as dust, allergens and pollen. It is always important to determine how easy the unit can be controlled and manipulated. Some of the most versatile configurations offer features such as 360-degree castor wheels and even ride-on variants. This will often depend upon the size of the area that needs to be cleaned as well as if you need to access tight areas such as stairwells or hallways. Choose a vacuum cleaner that is able to be controlled with accuracy and precision. How powerful is the engine associated with the vacuum cleaner? This is critical, as low-power units might not be able to adequately clean the underlying surfaces. Try to determine how much power is required for your location. The good news is that the experts at Cleanhire will be able to provide you with detailed information in regards to which unit is the most appropriate for your location. Shopping centres are naturally associated with a high level of foot traffic. There can also be times when unique types of substances such as oil will need to be addressed. This is why it is important to select a vacuum cleaner that has the capability of handling different types of spills. Versatility is also great if you are hoping to enjoy a healthy return on investment. Please feel free to use this article as a checklist when choosing the right vacuum cleaner for your business and as always, we are more than happy to provide further assistance.